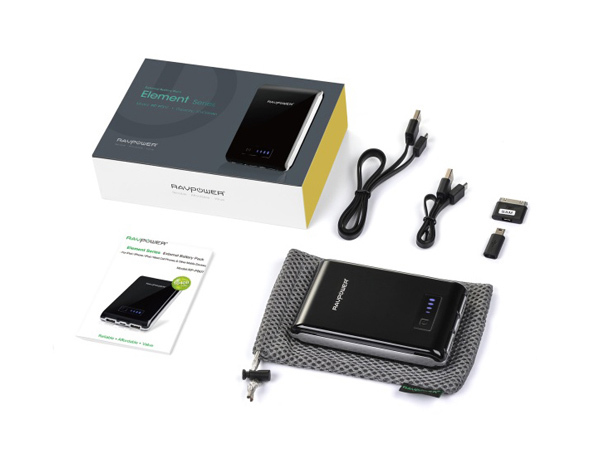 10,400 mAh's of juice flowing allows you to talk up to 40 straight hours, keep your tablet running all day and charge and recharge your mobile up to 5 times! Yes! 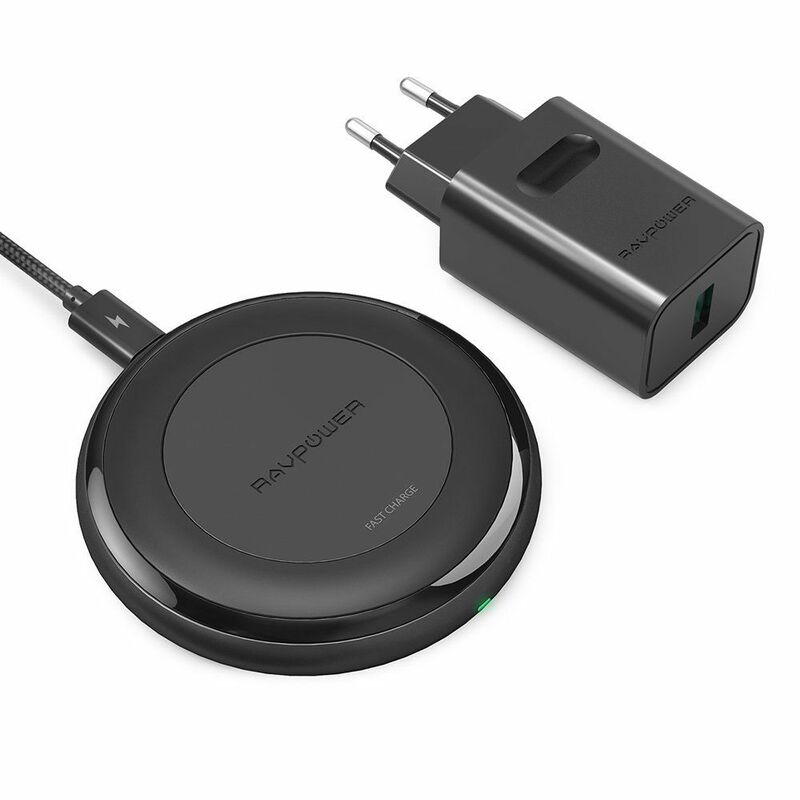 With the RAVPower® RP-PB07 you can charge two devices at the same time! And, because we only use top rated battery cells enclosed by a molded aeronautic casing makes this battery pack one of the most reliable on the market! 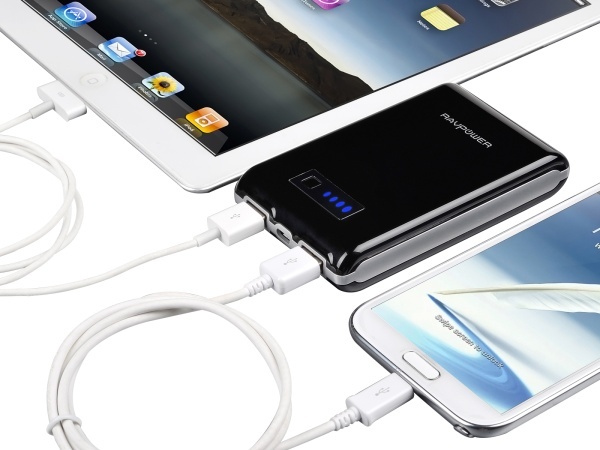 As slim as a quarter and weighing only 8 oz, yet able to keep your devices running all day! This is what compact is all about! 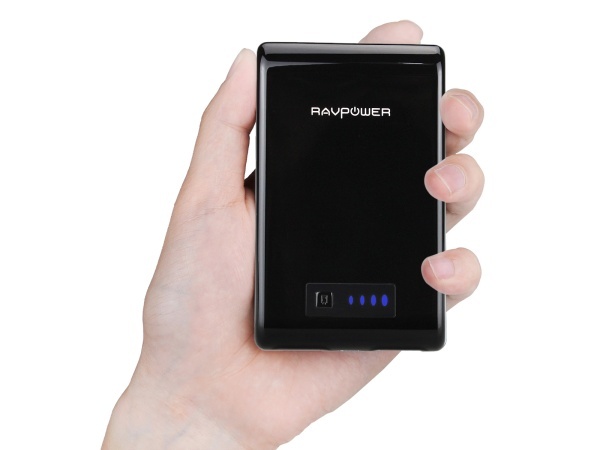 Our unique power bank comes an intelligent LED display that shows the battery status. So, you'll always know how much juice you have! 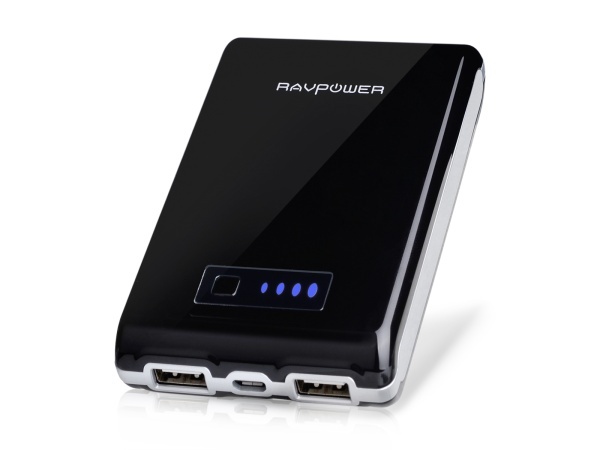 Moreover, AC Adapter is not included, for max-speed charging of your RAVPower 10400mAh battery pack and other devices, check out RAVPower's 15.5W / 3.1A RP-CC01 car charger and RP-UC05 Dual USB AC adapter.